Home News	What is Bitcoin SegWit2x? Cryptocurrency users keep growing and their demands grow over time. This calls for software upgrading to accommodate more features and users. The Bitcoin SegWit2x (Segregated Witness) is as a result of supply and demand. Software upgrades are classifies in to two; hardfork and softforks. SegWitx2 is a hardfork that involves the upgrade of nodes in the Bitcoin blockchain. Bitcoin is a digital currency that uses a set of codes or protocol. It delivers digital coins (Bitcoins) in form of data. These coins or tokens are identifiable in quantities grouped into blocks. They are stored in a defined sequence to for the blockchain. The blockchain is decentralized and distributed globally by a network of computers. These computers are controlled by users who make the entire network function using set rules. SegWit2x is a specific fork aimed at changing specific rules and making them valid. It focuses on changing the block size from the current 1MB to 2MB. This is to create more space for the blocks stored in the platform. However, there are users who are for the idea and those against. Many Bitcoin users are accustomed to past forks (Bitcoin Cash and Bitcoin Gold). SegWit2x does not guarantee the same results with past hardforks hence users have not come to a consensus. With the past Bitcoin Cash and Bitcoin Gold, some users were rewarded with new coins depending on where they hosted their wallets. SegWit2x involves an alternative or modification of Bitcoin software that is run by all network participants; they are the only ones that can enforce the protocol rules. Since the focus is increasing the block size, system optimization is also under focus. Since this is a hardfork, users who do not upgrade their software will automatically be kicked out of the network. As much as Bitcoin Cash developers are keen on creating a new blockchain with new set of rules, SEgWit2x aim was to maintain all users in one Bitcoin blockchain. This way, there were to outcomes; the change of Bitcoin rules and capacity to process larger blocks enhanced or creation of two Bitcoin blockchains with different coins and rules. SegWit2x support is drawn from startups and merchants that support Bitcoin as a product and miners with the right hardware that secures the network for better rewards. Their argument is that Bitcoin should remain a digital currency that competes with other fiat currencies like the US dollar. With the foregoing, coming to a consensus has become a mirage hence the calling off of the much anticipated SegWit2x. However, to cancel the fork means splitting the ever tightly knit community is averted. According to supporters of the cancellation, there are better ways for a smooth upgrade that will not disrupt key functions of the blockchain. After the cancellation of the hardfork, there was a mixed reaction from the cryptocurrency market. The price of Bitcoin surged immediately after the cancellation news spread. According to the lead developer, Jeff Garzik, lack of support from the community led to the upgrade suspension. However, due to fear of missing our (FOMO), the value of the coin was on the upward trend. By the time the cancellation was confirmed, Bitcoin price stood at $7,477 according to Bitfinex exchange. This was immediately followed by a sharp rise to a new all-time high of $7,899.90 on the same exchange. The price went down 23 minutes later to stabilize at $7,000 after bear arrival. Atlcoins have their fair share as well; their markets climbed 20% a clear indication that the coins’ pullback was as a result of Bitcoin investors fleeing in fear of free dividend ‘airdrop’. The most anticipated free coin reward scenario was not forthcoming. Major exchanges like Bittrex and Philippines’ SCI dropped out for fear of pump and dumb. 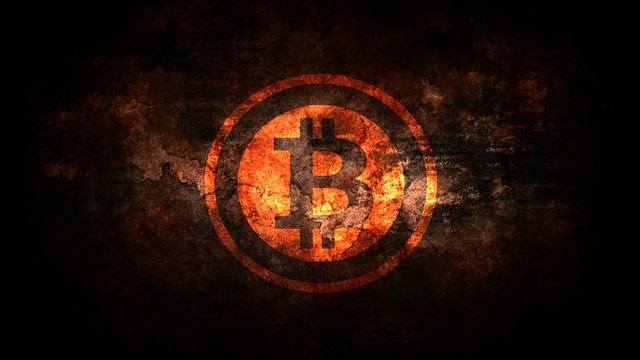 This affected the Bitcoin price negatively due to lack of transactions. Exchanges treaded cautiously to avoid losses and safeguard user funds. Though enthusiasts saw this as a ploy to cash in on the anticipated free coins; there is a general feeling that they expected to make profits after SegWit2x hardfork. To sum it up, the Bitcoin, like any other cryptocurrency is highly volatile and any shift in its ecosystem reflects on the price. Cryptocurrencies tend to respond fast on news on social media before official communication from users and developers. The price of Bitcoin however continues to raise thanks to the publicity and awareness caused by SegWit2x.